1. 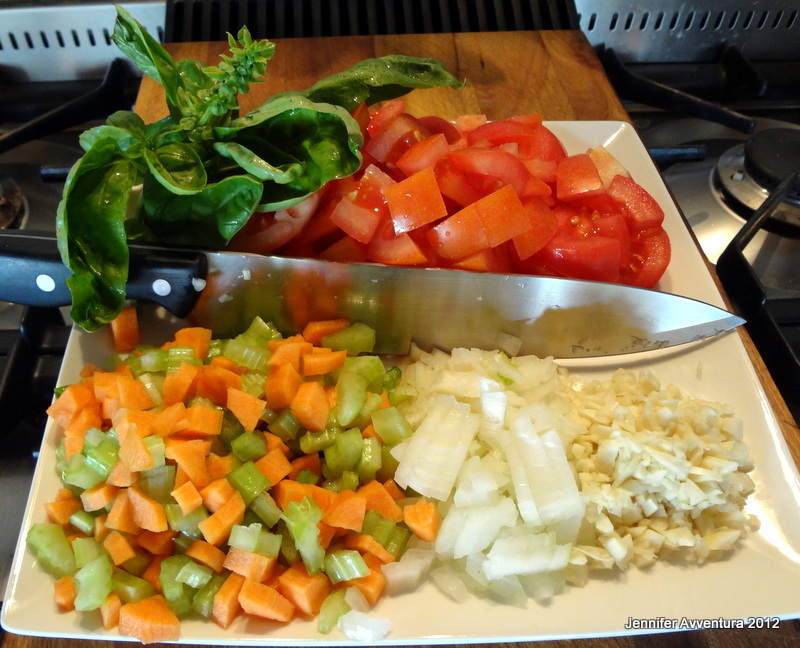 Collect Raw Ingredients: Tomatoes, carrots, celery, onions, garlic, canned tomatoes and tomato paste. 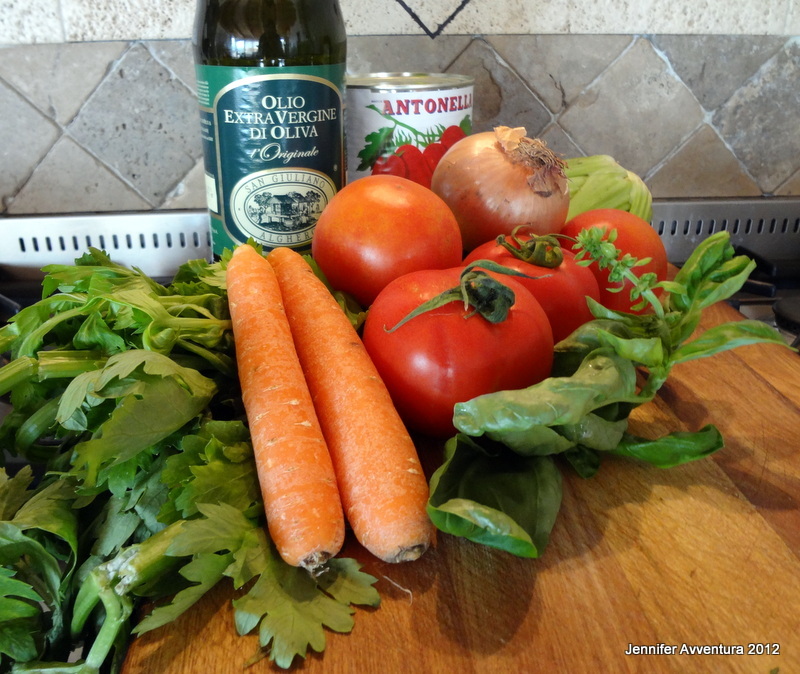 I was shocked to learn that some Sardinian’s add carrot and celery to the tomato sauce and since, so have I. It adds a little extra thickness and flavour to the sauce. Don’t be afraid to try something new. 2. Clean, Wash, Chop: Pretty self-explanatory. On a side note: I never measure my goods. I’ve never been good with numbers and I prefer to throw whatever I have into the mix, the rest can go in the fridge or freezer for another day. 3. 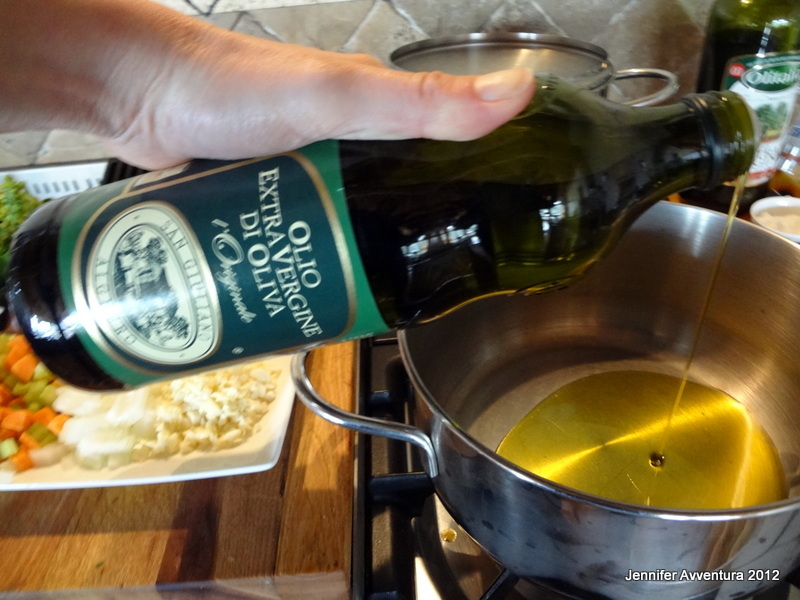 Heat Oil: in a medium saucepan heat olive oil, add one small piece of onion to test oil temperature. When onion starts to bubble add remaining garlic and onions. Stir. 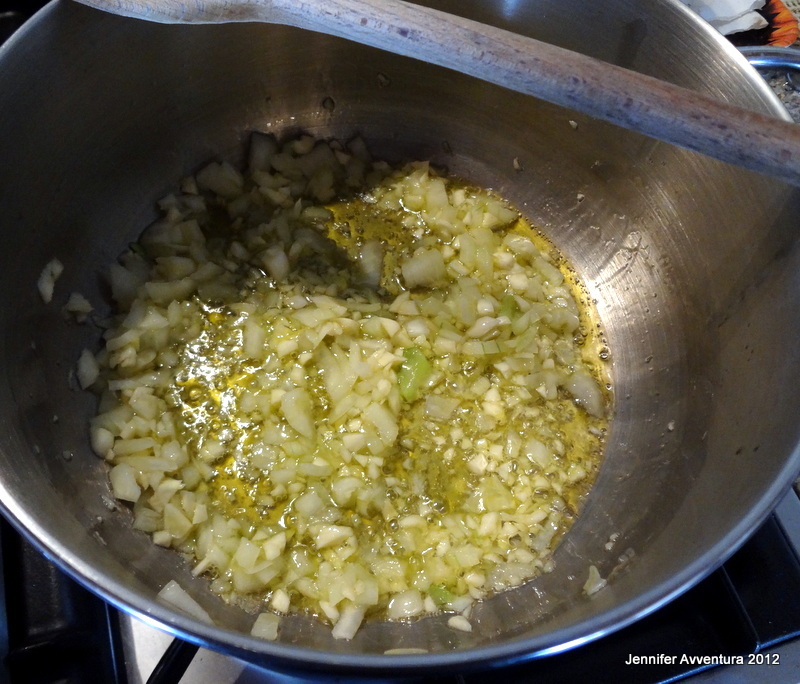 Cook onion and garlic mixture until onions become slightly transparent. 4. 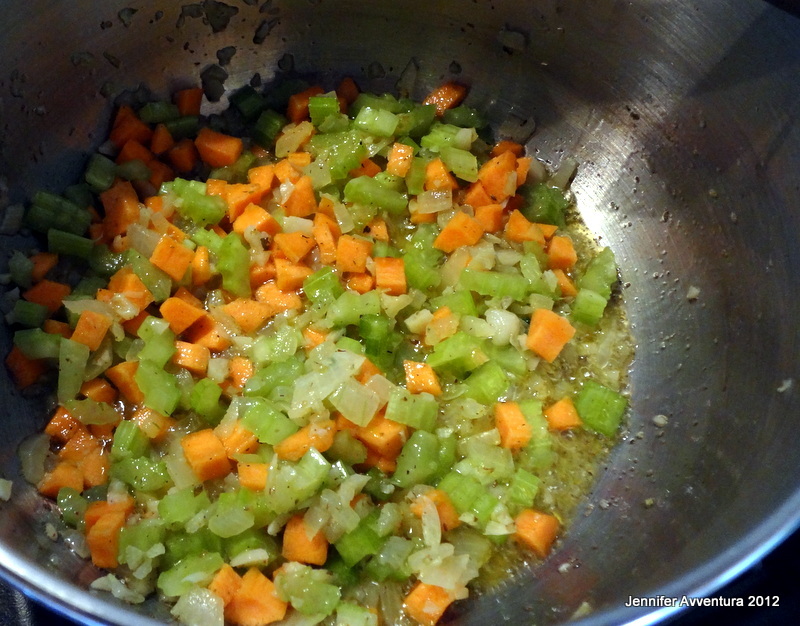 Add Carrots & Celery: stir mixture together. When carrots have softened in colour add a splash of white wine, or red, or even Sambuca … all depends on what you have ready. Allow alcohol to evaporate; stir. 5. 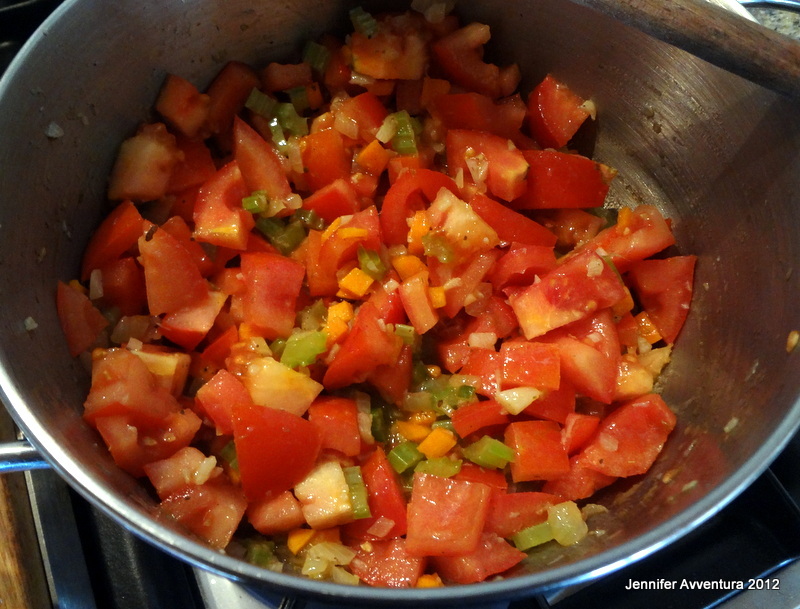 Add Freshly Cut Tomatoes: allow tomatoes to reduce; stir. 6. Add Canned Tomatoes: this point is optional. If you have an abundance of freshly grown tomatoes use those instead. Stir and stir some more. 7. Add Tomato Paste: stir until tomato paste if fully absorbed into mixture. 8. Fresh Herbs: Basil, oregano and parsley. Throw them into the mix and stir. 9. Simmer: simmer your sauce for 2-3 hours (this will depend on your time limit) continually stirring. The longer you simmer the better the sauce. A good Sardinian friend once told me that tomato sauce is cooked when the colour turns slightly orange. It’s a great piece of advice and one I’ve faithfully followed, the results are out of this world. 10. Serve and Enjoy: The possibilities are endless with homemade tomato sauce. Have fun. My simmered sauce is slightly orange, approaching the two-hour mark. I’ve written this post and edited the photos, while I patiently wait for red to turn orange. * I am not Italian, nor do I play one in real life or on the internet. I just happened to marry one. How do you make your homemade tomato sauce? Very late to the party. Do you cover the pot? Better late than never. 🙂 I do cover the pot but just for the first 15 mins or so. Then I cook without the lid. I just loved reading this along with the comments. My mother (Welsh) always made us and my father (Italian) sauce starting with battuto. It makes for such a depth of flavor that can’t be topped by anything short of it. I’m following your blog because I just really enjoyed some of your other posts, as well. Buon appetito e grazie! In my country a Masterchef judge did a segment on Battuto. He had lived and cooked in Italy extensively (Ray McVinnie) We of the pale skinned variety long for authenticity, but if Battuto isn’t authentic I’m a heretic. Fantastico. Why don’t you allow someone to print the recipe? I do not have a computer in my kitchen. I do not, but there is the option to email the recipe to yourself, or you can grab a screenshot and print from there. Thanks for reading. That’s the best way I love to cook, just eyeball it. Read some of the comments below of people who have successfully tried it and loved it. Thanks for stopping by. I am a New Zealander of Scots/Irish descent. Adding carrot to my tomato sauce was a game changer, so I sold my soul to the devil and added a little grated kumara (sweet potato) also. I can hear the screaming from here, but it’s ‘fusion’ and we love it. Well, that just sounds delicious! I love sweet potato but can’t find it here. I am sorry but I don’t agree. i come very a very Italian part of the bronx and my wife is from Brooklyn, celery and carrots are not to be used to tomato sauce . 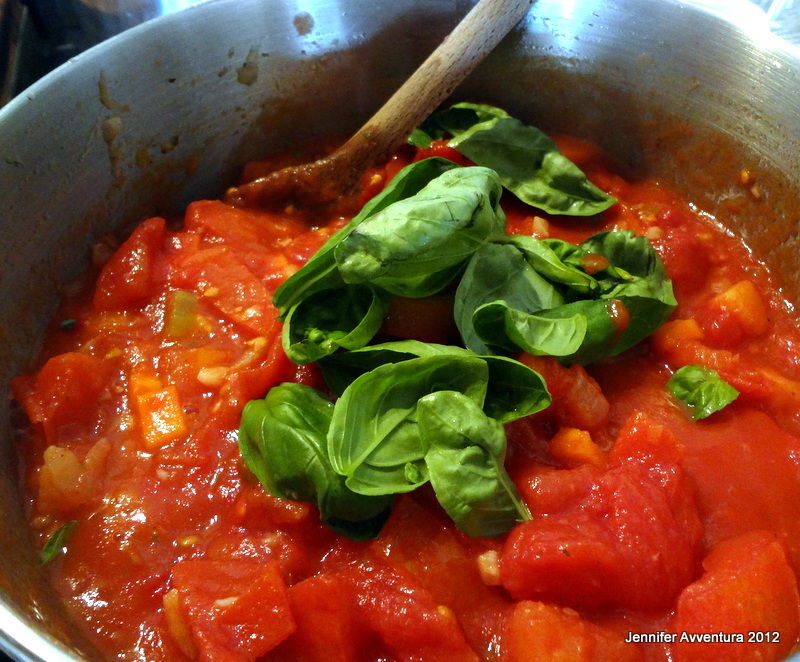 You make it with fresh great tomatoes like Pastene , garlic , inion for sweetness and after basil and oregano. That is all you need. No need to apologize. 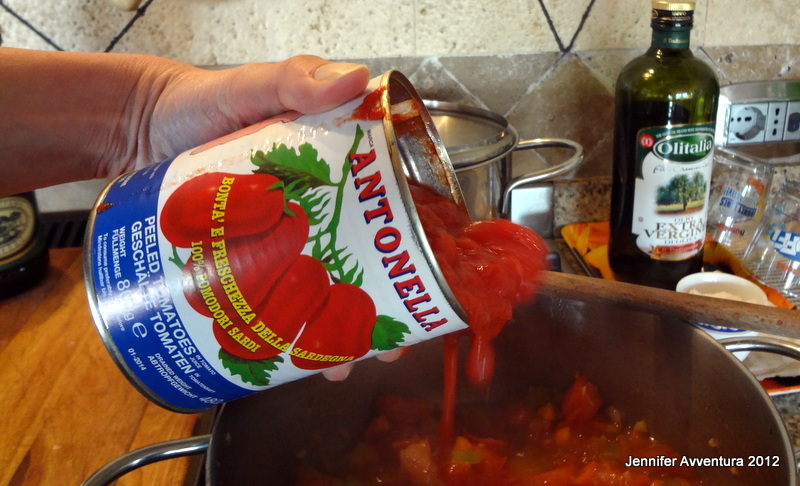 There are many, many different ways to make tomato sauce. Here in Sardinia, no garlic is added however they do add carrots, as do most Italians that live on the mainland. Thanks for stopping by. Enjoy the sauce. Just discovered your post. Looking forward to reading more about Sardinian life and recipes of the country. 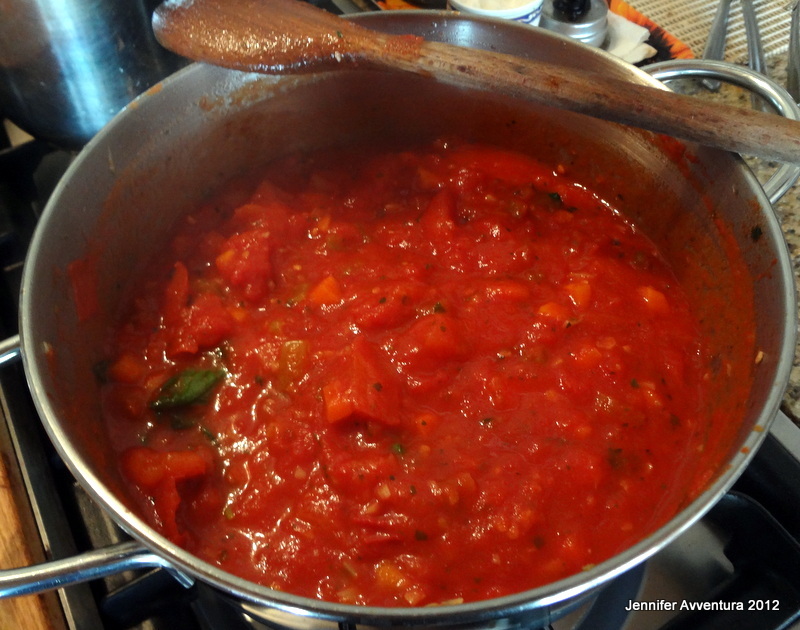 Must try your beautiful tomato sauce recipe over my favorite pasta. Looks wonderful. Thanks for stopping by and commenting. What is your favourite pasta? I love the fresh homemade pasta from my husband’s sister. Let me know how your tomato sauce turns! Thank you for the recipe – something I have been looking for for some time. So you don’t have to peel the tomatoes and remove the seeds? Pingback: Braaied Lamb Ribs – With A Twist! (Part 1) | Biltong, Braai & Boerewors! Pingback: Green as the Emerald Isle!! | Ouch!! My back hurts!! Now that I’ve re-read your recipe I think I have just the right idea to use the sauce on!! Have just made this sauce after dismissing all the celebrity chef’s versions, it’s amazing! Charlie, you’ve made my day! Thank you, I’m so happy this sauce surpassed those celebrity chefs’! I have never added carrots or celery but your ingredients all look so enticing and I know the result is wonderful. Mmmmmm. A secret to a happy taste buds. Delicious! Thank you! This is my most searched for post. People around the world want to know why their tomato sauce turns orange! Your sauce sounds similar to mine with the exception of the celery and oregano, I do add chopped salt pork in with my onions and garlic, letting it brown slowly the flavor it adds to the sauce is amazing! I am going to try yours as well! Sounds like a very good sauce! Have a great day! That requires too much time. I haven’t the patience to make pasta. Maybe in a few years time! The Italian family I lived with as a student (oh,soooo many years ago)used to simmer whole tomatoes in a huge pot then strain them through a “passare” (if I remember correctly)and bottle the sauce in small glass jars. Each sauce would have its own flavor–of basil, or carrots, etc. This was the northern Italian method, I think. I’ve never tried this method, someone else commented about doing it like this … I just might have to give it a shot! Thanks for popping in and commenting, much appreciated! mine is quite the same, but I don’t use wine nor Sambuca. At the end, I put the sauce into a chopping mill like this: http://www.paderno.it/images/LP/LP42570P.jpg (I don’t know the right translation..). Great, thanks for the tip. Does that make the sauce thicker? And yes. I have copied this and sent this to hoards of Chinese people (sorry!!! WordPress is blocked and I cannot just send the link!!!) because they seem to think that we don’t cook. Well… it’s a step by step instruction on how to make a sauce!!!! Thanks!!!! Or as we say here… xie xie! I’m glad I was able to bring a smile to your face! Happy Spring! I love to cook too but have such time limits. I would love to try making this in the summer when our huge MN tomatoes come out! Mmmm…. my mouth is watering!! Thanks so much for sharing the recipe. I’ve added it to my favorites! Ciao! Let me know how it turns out for you. Thanks for the comment. The sauce looks great, I’ll give it a try soon. Jennifer; Please don’t say that you aren’t Italian, the Italians are not a race but a culture, basically in Italy one only has to LOVE the country and its people and show your appreciation of the land which Italians will pick up on and bingo you instantly become (are baptized) a dyed-in-the-wool Italian! The only thing that will alienate someone is if their personality is that of pasta fredda, cold pasta, you sound very much like pasta calda! Oh, Ok, I`ve never thought about it that way, I certainly didn`t intend to disrespect anyone. OH and yes, Im very much like pasta calda! 🙂 Thanks for the comment! I love garlic too much to remove it, I need it in there, chopped full of delight. Thanks for the tip though. I may give it a try one day. My Sicilian hubby says, “the more garlic that stays in the better, but no carrots”. Great post Jen. Here in Sardinia they add carrots to the sauce. And yes, lots and lots of garlic! There is so much going on, on the mainland this spring. I would love to make it to Umbria for the blogger conference, but Im waiting on a job offer. You can write about any subject, can’t you, Jennifer? Very cool! It looks so appetizing that it makes me hungry 😉 Time for a lunch. Great post and I will definitely try your recipe soon! Thank you! I’ll be adding some Sardinian gnocci to the mix. However, I bought the pasta!